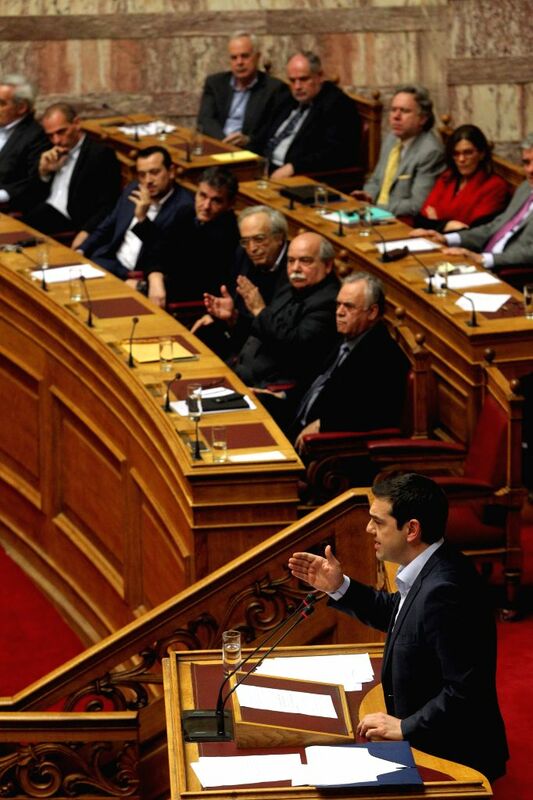 ATHENS, March 30, 2015 - Greek Prime Minister Alexis Tsipras addresses a parliament session in Athens, Greece, on March 30, 2015. Greek Prime Minister Alexis Tsipras called on opposition parties on Monday evening to rally in a national effort to pull the country out of the debt crisis and harsh austerity, as critical negotiations on the next steps forward in the cooperation with international lenders continued in Brussels. 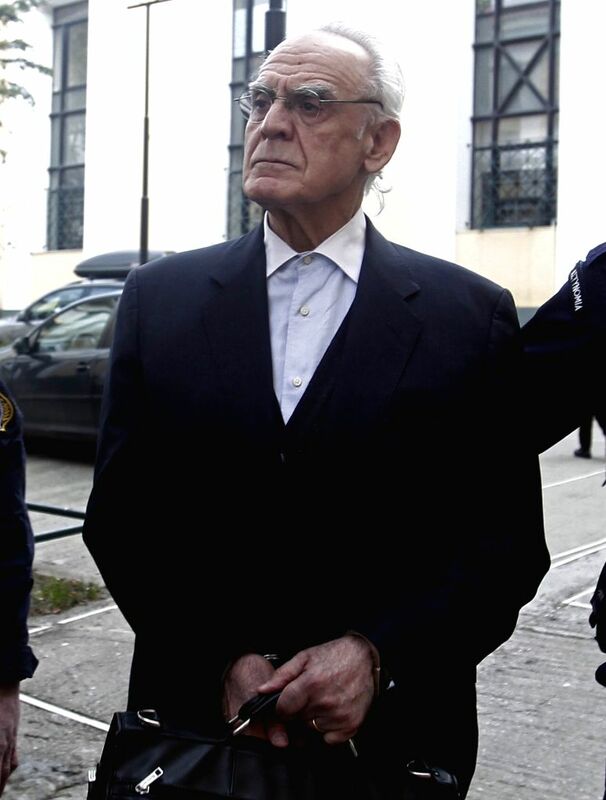 File photo taken on Oct. 7, 2013 shows the former Greek Defense Minister Akis Tzohatzopoulos. Akis Tzohatzopoulos was convicted of bribery in 2013 for bribes related to contracts for armament projects. Greek new government has declared war on corruption that will cost the country 100 billion euros (about 108 billion U.S. dollars) every year. Skepticism remains, however, as the challenges ahead are enormous, Greek experts say.